A great way to start your Florida vacation! Don’t forget to book your return transfer for the journey home! Simplifique el proceso de transferencia a su llegada al aeropuerto internacional de Fort Lauderdale-Hollywood (FLL). Viaje a cualquier área de Fort Lauderdale Beach, el Aeropuerto Internacional de Miami o el alojamiento en Miami South Beach con estilo y comodidad al contratar un vehículo de traslado privado. No podría ser más fácil. Después de abandonar el área de reclamo de equipaje, busque un chofer profesional con un cartel personalizado. Eso es. Luego, súbase al vehículo como uno solo o con hasta otros dos miembros de la familia y / o amigos en un sedán de lujo. El precio es por persona, basado en tres pasajeros por sedán. I like use this service since they are professional drivers with your safety in mind. 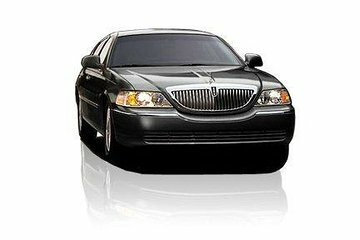 The private airport transfer is professionally organized. Drivers are professional, alert, courteous, know the way, and convey a sense of caring that you enjoy your trip. The driver was not happy with my voucher. He thought it was a fake. We Waited nearly half an hour for a car once we arrived in Ft. Lauderdale. I was NOT impressed with the quality of the vehicles at all either. The car was probably 12 years old, clean, but wow for $75.00 lets get into something newer! Save your money and grab a cab. Our driver was great. The man at the desk however left much to be desired. Very unfriendly, hardly welcoming. If it wasn't for my own attention, the man at the desk would have had us wait for 20 minutes for a van even though we had paid for a private transfer. Once I pointed this out to him, he grunted and pointed to a SUV and away we went. Naturally we were disappointed with the interchange with man at desk and disappointed too with SUV, versus car, as it was a little difficult for my elderly Mother to lift herself up to get into the vehicle.